Debenhams shares hit record lows this week after insurers reduced credit cover for suppliers. Retail is the second-riskiest UK sector for insolvency and Britain is one of the most exposed to the shift to online shopping. Its stores offer an early warning for counterparts abroad. 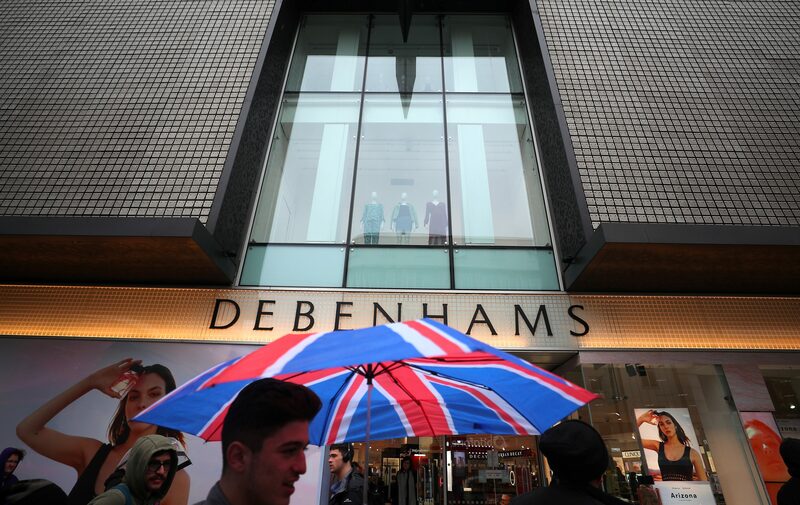 British department store Debenhams said on July 15 that it had a healthy cash position. The statement came after a Sunday Times report saying that insurers had cut cover for the company’s suppliers, sending its shares lower. Credit insurance protects suppliers against the risk of companies going out of business before payment is made for goods. Suppliers who have less credit insurance cover are typically more likely to demand payment upfront. The company’s shares fell 6 percent to a record low of 13.9 pence in early trading on July 16. They were trading at 14.4 pence at 0735 GMT on July 17.